Cal Poly Animal Science Senior, Fiona McBride-Luman picked to play for Team USA vs. England in Florida. The season runs from September – April. The Cal Poly Polo Team has been successful in recruiting top high school players for the past decade, and it has done so because Cal Poly is an excellent university and San Luis Obispo is a great place to spend four years. However, there has recently been a significant increase in junior and high school programs that turn out exceptional players each year. To stay competitive in recruiting top talent, the Cal Poly Polo Team hopes to establish scholarship funds to attract and award top players. Many other schools are offering in-state tuition, partial scholarships and housing scholarships, and Cal Poly must be able to offer funding to stay competitive. 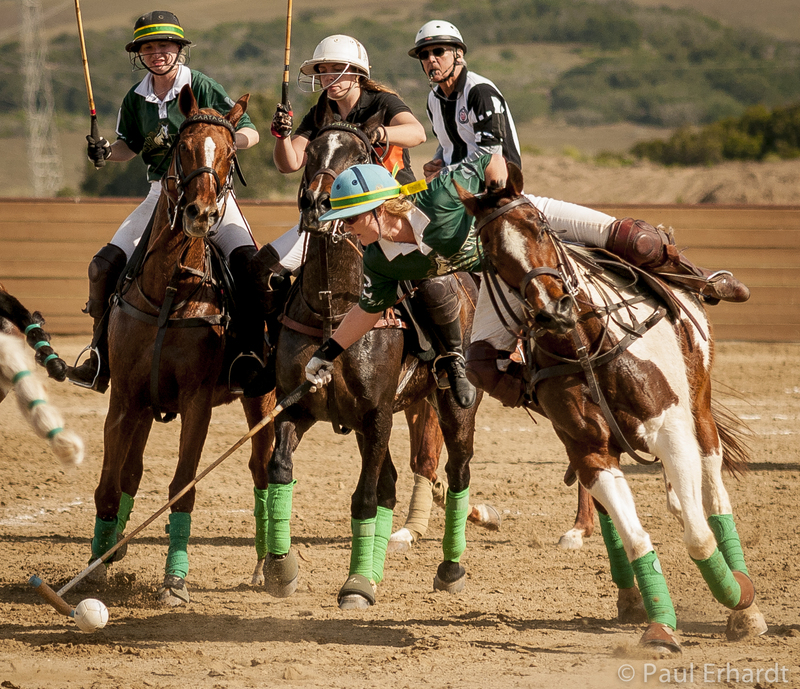 To help support Cal Poly’s winning Polo Team, click here. Please indicate M0142 IRA Polo Team in the area provided. 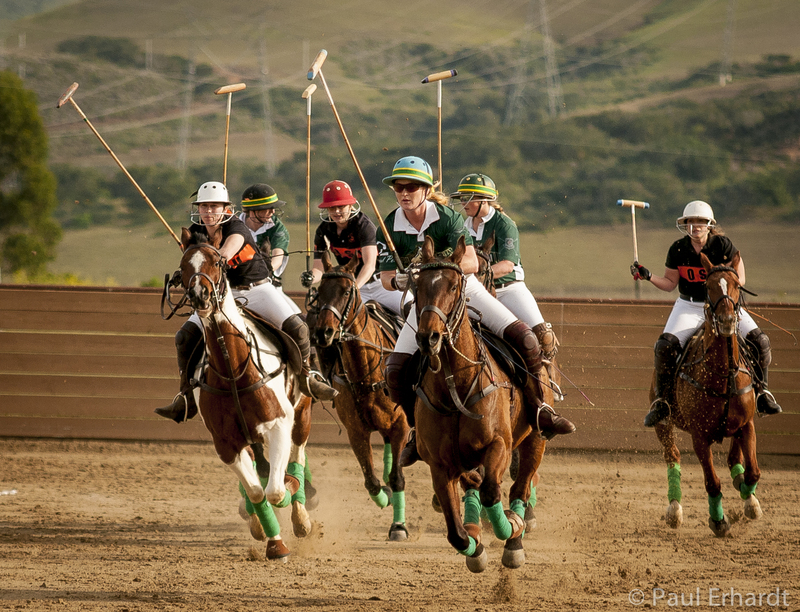 Polo first arrived on the Cal Poly campus in 1977. Two freshman students, Tom Hinrichs and Ron Foster, enrolled at Cal Poly after graduating from private preparatory school Robert Louis Stevenson School in the Monterey Bay area. Over the two previous years, Hinrichs and Foster had won the Interscholastic National Tournament. The Cal Poly Polo Team thus began with these two players, who then recruited several other students and taught them how to play. Rich Villa, Gary Beck and Annette Licu joined the team, followed later by Jim Perham and Barry Meyers. Funding and support has always been tough for the team, particularly during the team’s origins when it was simply a club. The club was small, and most members had to own their own horse in order to practice because the school did not own any polo ponies. Further, the overall impression of polo was that of an ‘elitist’ sport. While that impression still exists to an extent today, at the collegiate level it is affordable enough for anyone passionate about it to play. 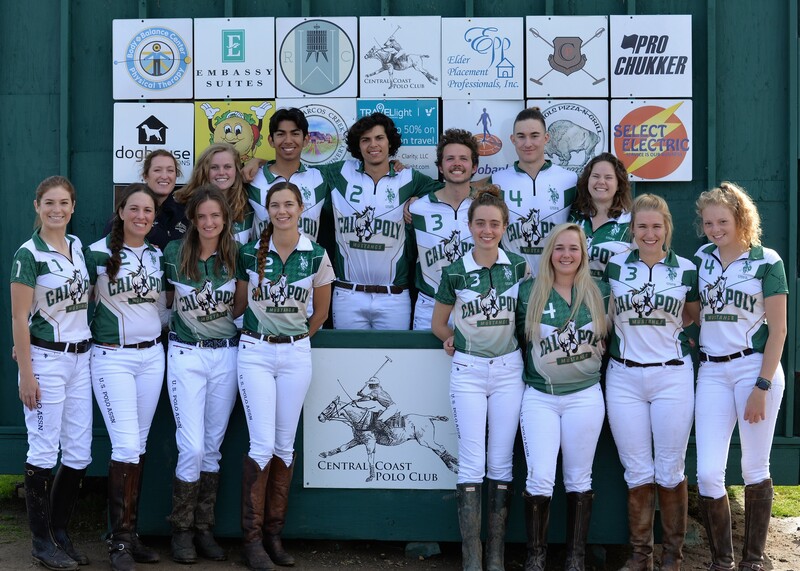 The Cal Poly Polo Team currently practices at an off-campus location, a regional polo center. It is an ideal location for instruction, practices, scrimmages and games. The team is hoping to raise funds to develop an on-campus tournament arena, which would provide an on-campus location for the team to play competitive games as well as allow spectator seating for other clubs, sororities, fraternities, and groups to watch games. Megan Carter Judge is the owner and manager of the Central Coast Polo Club in San Luis Obispo, Calif. Judge, along with her associates, started the Central Coast Polo Club in April 2002. She is a U.S. Polo Association (USPA)-certified arena polo umpire and instructor, and has been coaching for more than 20 years. Judge graduated from Cal Poly with an undergraduate and master’s degree in agribusiness. 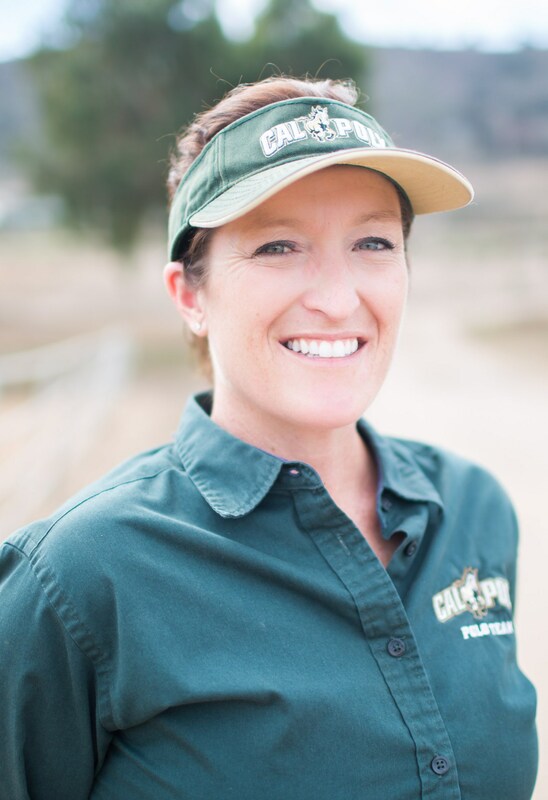 While attending Cal Poly, she competed for the university’s intercollegiate polo team from 1995-1999, and was a member of the All-West All-Star team all four years. She was also a member of the Western Regional Championship teams in 1996 and 1999. Judge has been playing polo for more than 23 years and is rated at 1 goal, which is considered a professional handicap. She won or placed second in the Arena Masters Tournaments in 2011, 2013 and 2014, and won the SouthBay Garlic Cup Tournament in 2013, 2014 and 2015. She has been the Cal Poly Polo Team coach for the past 12 years, and has led her team to Nationals six of the last eight years. Judge also coaches two Scholastic Teams, and took her 2014 and 2015 Girls Interscholastic teams to Nationals, where they placed second. Her teams have dominated the Pacific Coast Arena League tournaments the last two years, with her members receiving Champion and Reserve Champion for most MVP awards, BPP awards and most games won. The Girls’ Interscholastic team also won the 2013 WCT Arena Finals in the 1 goal flight. Judge learned to play polo from her grandfather, William (Bill) C. Carter, Jr., who was a 30-year member of the Will Rogers Polo Club. She credits her love for polo to her early influences Sue Sally Hale, Domingo Questal and, most importantly, her grandfather, Bill.